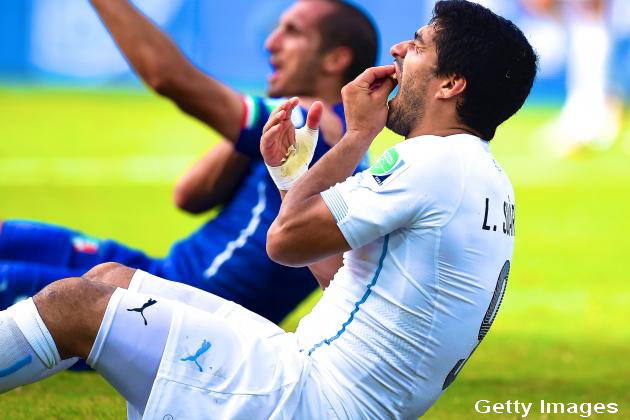 Uruguay and Liverpool forward Luis Suarez will miss the national team’s next nine matches and is banned from football-related activities for the next four months as punishment from FIFA for biting Italy defender Giorgio Chiellini during the final match of the World Cup group stage for both sides. … ‘Such behavior cannot be tolerated on any football pitch, and in particular not at a FIFA World Cup when the eyes of millions of people are on the stars on the field. The Disciplinary Committee took into account all the factors of the case and the degree of Mr Suárez’s guilt in accordance with the relevant provisions of the Code. The decision comes into force as soon it is communicated,’ said Claudio Sulser, chairman of the FIFA Disciplinary Committee. Obviously, Uruguay are now forced to move forward without Suarez, which will make trying to advance deep into the World Cup much tougher. His two-goal performance against England showcased the massive impact he’s capable of making. 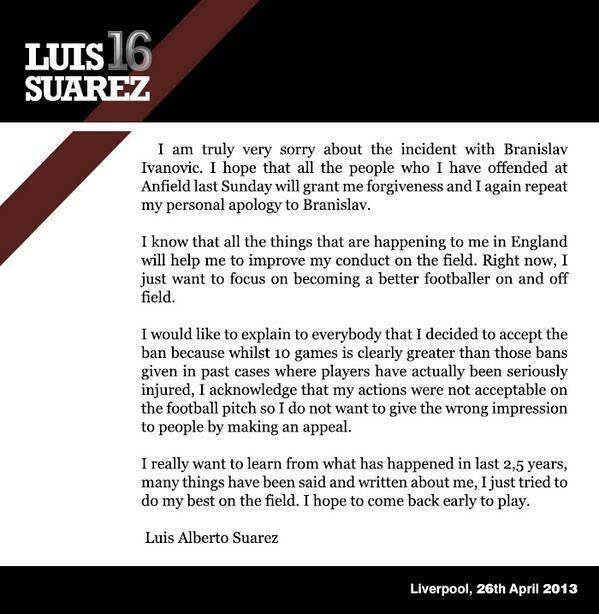 When it comes to Suarez, the outlook has always been taking the good with the bad. He’s one of the sport’s most dynamic attacking players, but sometimes he loses mental focus. There’s also a difference between a bad yellow card and biting somebody. Apparently, he hasn’t realized that, despite the previous bans. Maybe a third one, this time from FIFA to keep him from helping his home nation in the World Cup, will finally get the message through.